Breakfast each morning plus lunch on the river trip. on the Middle Fork American. Our SUPER 1 DAY TRIP includes a full day of rafting the Class IV Middle Fork American plus camping before and after your rafting trip and breakfast each morning. 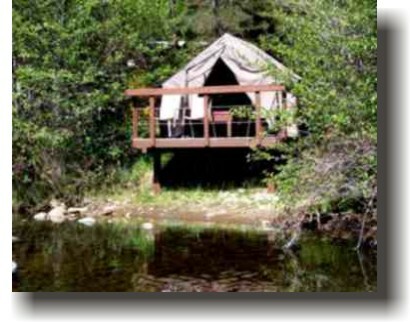 You may arrive at our camp on the South Fork American anytime after 5 PM on the night before your trip. The first day of your trip will include breakfast, followed by our full day raft trip down the Middle Fork with lunch. The trip concludes after breakfast the next morning, about 9 AM. Super 1 day Middle Fork American River trips are scheduled to depart on select Saturdays or Sundays from mid-May thru September . 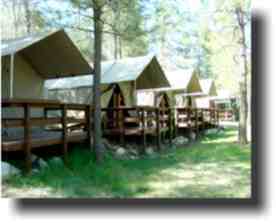 Groups of 8 or more may schedule a trip any day of the week. 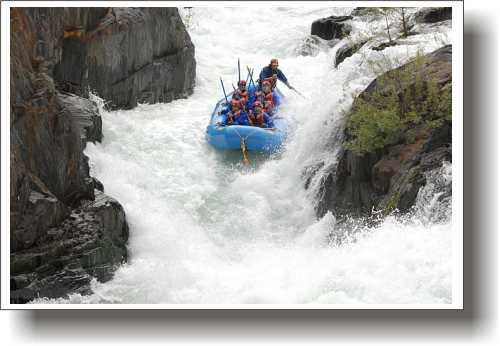 The South Fork American River is an excellent white water rafting trip for first time rafters but we also recommend it for rafters of all abilities because of its exciting and fun rapids, reliable summer water flows, comfortable camping facilities and economical prices. For experienced rafters looking for more white water action we recommend the Middle Fork andNorth Fork of the American River. The difficulty of a river is classified on a scale of I to VI with I being very easy and VI unrunnable. We have classified the rivers based on normal moderate water flows but during times of high water river, difficulty levels can be increased. We recommend a Class III river for beginning rafters and a Class IV river for experienced rafters looking for more action.Class V river trips are reserved for expert, highly experienced rafters. 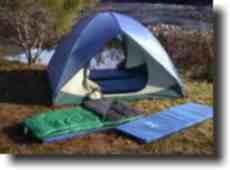 On our Super one day rafting trips, we include two nights camping. You are allowed to arrive at 6 PM or later on the night before your raft trip. If you arrive prior to 6 PM your camping space or rental tent may not ba available as we need the period prior to 6 PM to clean tents and/or water our lawn.